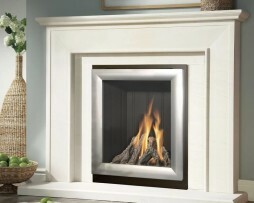 VERINE FONTANA HE COMPACT, BALANCED FLUE GAS FIRE is a hole in the wall fire designed for homes without a standard chimney and offers 84% efficiency. The petite dimensions of the Verine Fontana HE Compact balanced flue gas fire make it perfect for modern living areas where space can be at a premium. 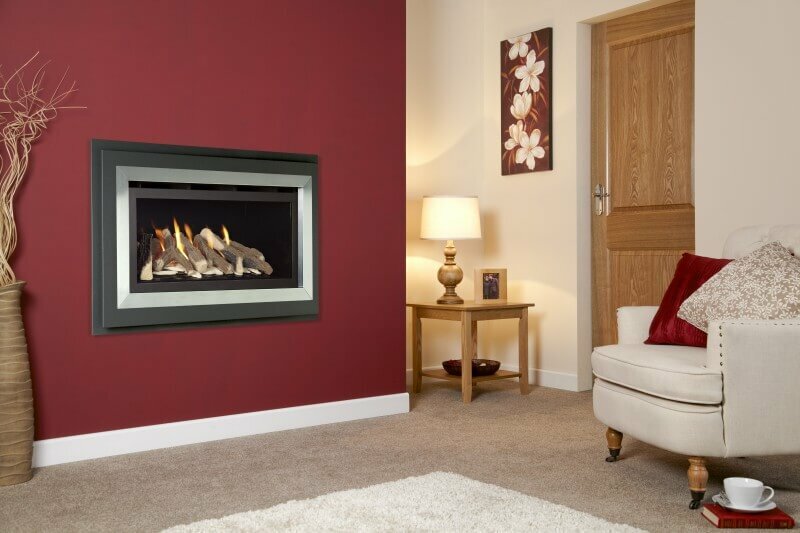 This stunning high efficiency hole-in-the-wall fire comes with a highly realistic log fuel bed and a stunning graphite grey and stainless steel fascia. The Fontana HE has an incredible 87% net efficiency and is operated by a thermostatic remote control system. 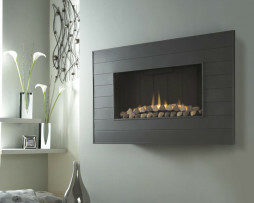 It features a striking graphite grey and stainless steel fascia and comes with a highly realistic log fuel bed. A balanced flue model is also available. 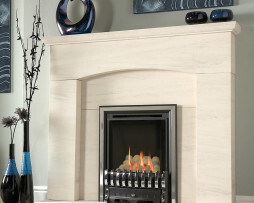 For more information and prices call the Fireplace Studio showroom on 01484 402336 or call in from 10am – 4.30pm Monday to Saturday and 11am – 4pm on Sunday.